Figure 3-7. Extract of Table 4-1, TM 38-250, Cargo Aircraft Only Symbol. Home > Munitions Reference and Training Manuals > > Figure 3-7. 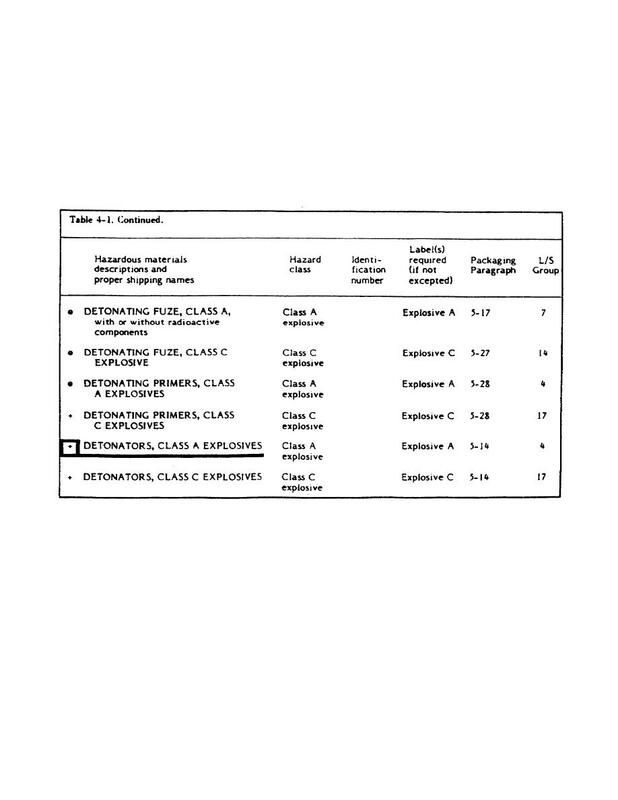 Extract of Table 4-1, TM 38-250, Cargo Aircraft Only Symbol. Figure 3-5. Extract of Table 4-1, TM 38-250, Detonator Entry. Figure 3-8. Extract of Fiche 003, Ammo Part VII, Packaging. permitted, and the entry "Cargo Aircraft Only" is placed in the label requirement entry. the NEW for one pallet or package. For this shipment, the entry for the one pallet is "482.4 NEW." consisted of two pallets, the entry would be "2,646 LBS 964.8 NEW." Fiche 003 of the catalog. An extract of this is shown in figure 3-8.